The gradings for all of Scotland's 173 salmon rivers have been laid before Parliament and will take affect from 1st April 2019. The gradings are an analysis of conservation status of salmon on each river and dictate whether fish can be taken sustainably or whether mandatory catch and release must be applied. and use the drop-down menu. A post yesterday (above) on Twitter showing images of legal predator control traps for stoats created a lot of heat. When the SGA reminded those in the comment thread, who had already started to talk about knowingly damaging these traps, that this was a criminal offence (which it is), this caused outrage. By saying that the SGA would inform Police (which the organisation has a policy on due to the amount of vandalism to legal property which goes on today) this was viewed with further ire. The SGA will never stop reporting damage to legal predator control traps to Police. They are legitimate tools used by trained operators as part of their employment. Not everyone is a fan of every industry but we would expect retribution if we walked into someone’s office, threw their computers out the window or wrecked them because we didn’t like what they did. Rail trap in Angus damaged by the public and rendered inoperable. Wildlife or species management is difficult for some. This is acknowledged. SNH reviews trapping and the General Licences which permit their deployment in the Scottish countryside are assessed annually. All snare operators in Scotland must be trained and personal ID numbers, obtained from Police Scotland, must be attached to every snare set legally in this country, as part of the Snare Training (Scotland) Order 2011. The SGA was not attempting to intimidate Helen for having a view or wanting to spark debate on issues of trap setting. She is perfectly entitled to do so and hold those opinions. We asked, legitimately, whether she was reflecting the views of Environment Link, of whom her organisation (The Ramblers Association) is a member. She said she was not, which was accepted. We are sure Helen will air similar views again on other elements of legal management. What the SGA did, for those who wanted to read the tweets (see all below), was remind that we should be mindful of social media posts and that the hills walkers enjoy are also people’s workplaces. We said to her that her comments had encouraged the type of activity that perhaps she had not intended. If this is deemed to be an act of intimidation or a ‘sinister’ warning off, as was suggested and shared elsewhere, then we will have to agree to differ. It does raise questions over whether free speech is afforded only to those on one side of a debate. It is the SGA’s responsibility, as a member organisation, to protect our trained members who are carrying out legitimate and legal work; work which they should be able to undertake without the fear of having their tools criminally damaged. It is well acknowledged that control of abundant predators, using humane traps and snares, benefits a range of ground-nesting species, not just game. A 9 year experiment by GWCT at Otterburn in England showed that, on land managed by gamekeepers, where predator control of crows, stoats and weasels was carried out, wading birds had up to 3 times more chance of breeding success. If we want to maintain red-listed wildlife in our country, then there should be some acknowledgement of the benefits of predation control. Indeed, RSPB and SNH are to receive £6m to eradicate stoats from Orkney in order to conserve the wildlife there, by eliminating them. Helen may not have been intending to encourage the comments about how to illegally disable, wreck traps or throw them in burns. In fact, we would like to put it on record that we do not believe this was her intention. It was, however, undeniably one of the consequences, with a number of posts in the thread, and other posts relating to the original, clearly alluding to this type of activity. The SGA will not be reporting Helen, as this was never the intention or meaning. We dealt with that by pointing out, in her second tweet, that her post had had a different affect than she intended (see below). 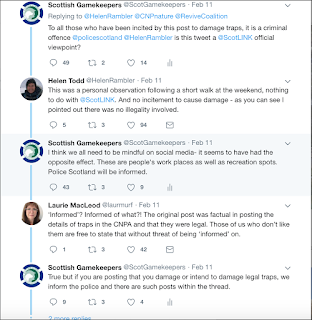 We will be reporting the comments about damaging legal tools to Police, as is our policy to do so. 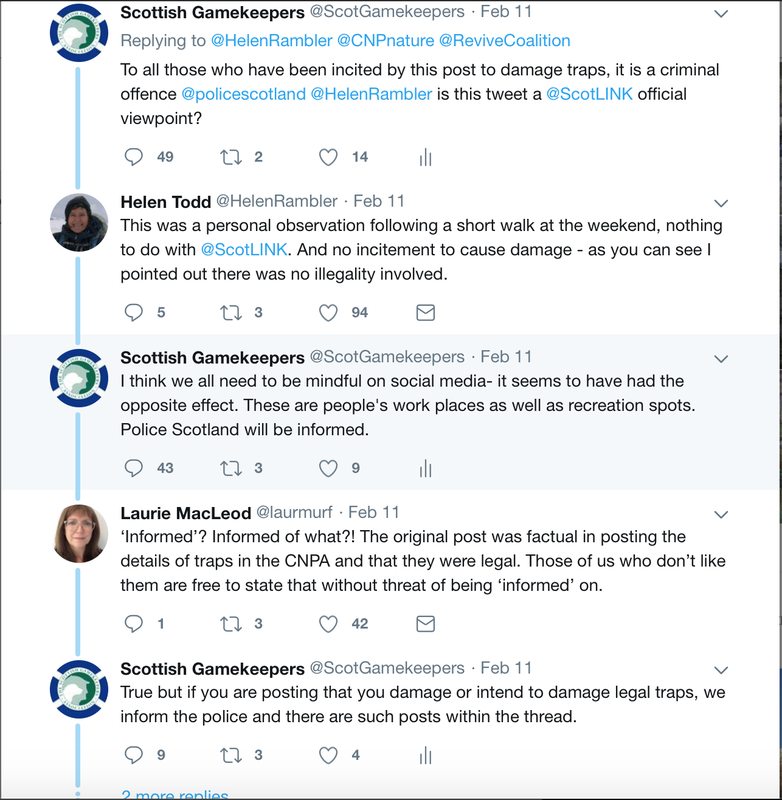 *All members, please continue to report all damage, tampering, theft and vandalism of legal traps and snares to Police Scotland. Please ask for a crime number or, if applicable, incident number. Please also report this to the SGA office. 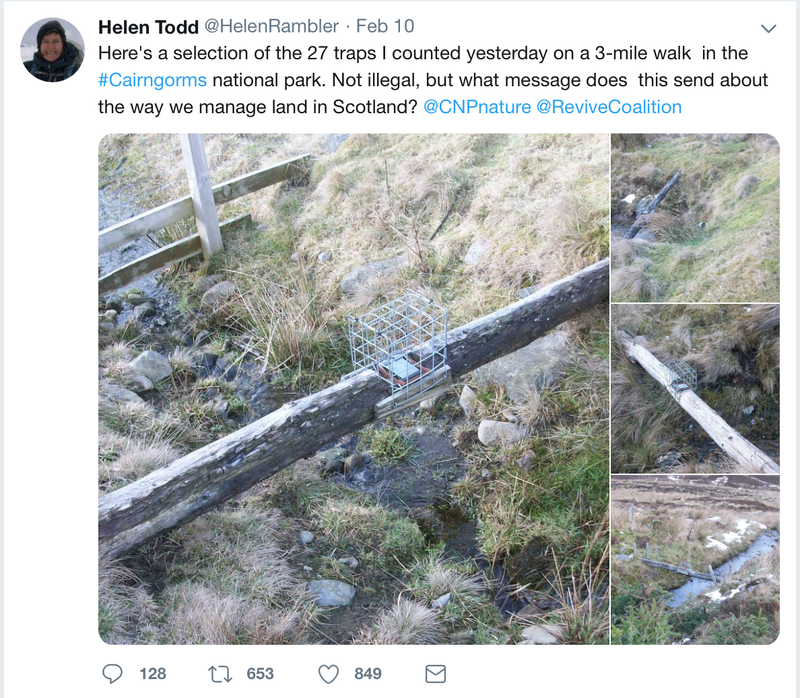 UPDATE: Hours after this 'debate' on Twitter, 17 legal stoat traps were damaged on an estate in Grampian. Details have been passed to Police Scotland. The SGA is now accepting nominations for its three mains awards of 2019, recognising the achievements of individuals and the wealth of talent and knowledge within the game and wildlife sector. The first closing date is June 7th for Long Service Medal nominations. These new awards proved popular in the inaugural year (2018) and it’s now time to forward the names of anyone who has given 40 years of unbroken and continuous service to gamekeeping, gillie-ing, stalking or wildlife management. 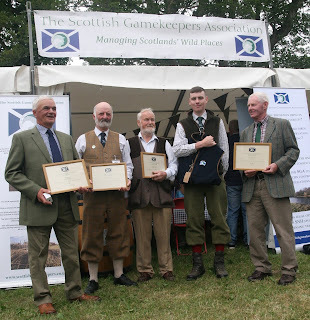 Next up is the deadline of June 21st for nominations for SGA Young Gamekeeper of the Year, 2019. The award is open to nominations from estates, senior staff, shoot operators or college lecturers who believe an individual to be a youthful ambassador for their profession, on land or river. 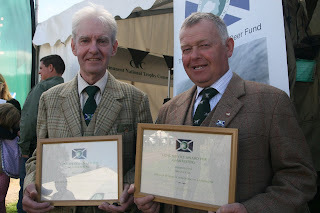 Finally, it’s the 4th Ronnie Rose Award for services to conservation or education on river, low ground, hill or forest. 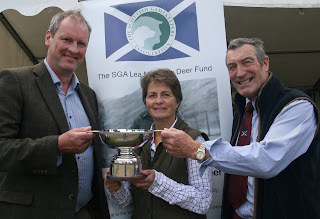 The award has a closing date of July 19th and, already, some nominations have arrived; proving the importance placed on this trophy within countryside management circles. To nominate in any of the three award categories, please contact info@scottishgamekeeper.co.uk naming your candidate and providing a supporting statement or evidence to justify their consideration. *Photos show our proud award winners from 2018. Well done to all. The 2019 SGA AGM with BushWear will have a European favour this year, with members set to hear management insights from a range of cultural and social perspectives. On Friday March 1st, SGA Chairman Alex Hogg will welcome members and invited guests to the Centenary Suite at McDiarmid Park, Perth, for the organisation’s biggest membership event of the year. The SGA is delighted to announce outdoor clothing and equipment specialists, BushWear, https://www.bushwear.co.uk as this year’s headline sponsor and company representatives will be showcasing Pulsar thermal technology at the event. There will also be special pre-order offers on selected new Pulsar products for SGA members on the day. Over the past few years, the annual general meetings have been very well attended and, with the industry readying itself for deer and grouse reviews in 2019, a large turnout is again expected. As well as the traditional Chairman’s address, this year’s event will welcome special guest from Norway, Hans Ulberg, as one of the principal speakers. Hans is set to fly in prior to the AGM and his talk will focus on interactions and conflicts between large carnivorous species and livestock populations in rural environments and economies. Now primarily a dairy farmer, Hans has spent years studying predator/prey relationships and sits on the government agency assessing autopsies of dead animals for evidence of predation. Hans will discuss key species; deer, bears, lynx, wolves and beavers; their differing levels of protection and legal management approaches in Norway. “We are delighted to have Hans with us. Vice Chairman Peter Fraser has been in regular contact with him, organising for him to come over and, with emerging challenges for everyone when it comes to species management, reintroductions and large predators, I am sure that a perspective from Norway will be of great interest to attendees,” said Chairman, Alex Hogg. Author, speaker and ambassador for greater understanding of Lyme Disease, Morven-May MacCallum, will address the floor with her personal experiences of coping with the debilitations of a disease which is becoming a growing public health issue. Doors will open for registration at 9am and all members must bring their membership numbers for check-in. As well as selected merchandise, new SGA wall-planners will be available for the first time. AGM sponsors BushWear, established 15 years ago and with stores in Perth and Stirling to cater for central belt country sports enthusiasts and outdoor workers, are delighted to be partnering with the SGA during the course of 2019. 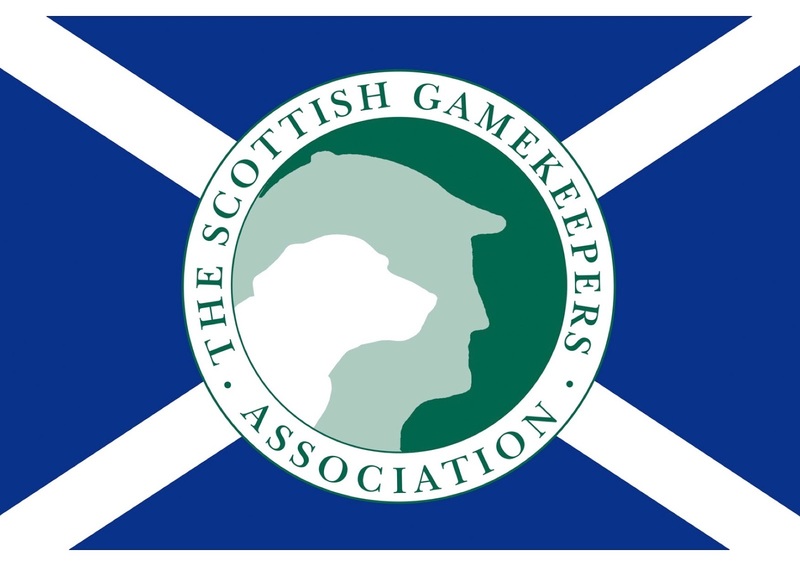 “The gamekeepers the SGA represent are so vital to the rural way of life and preserving the sport we all enjoy. 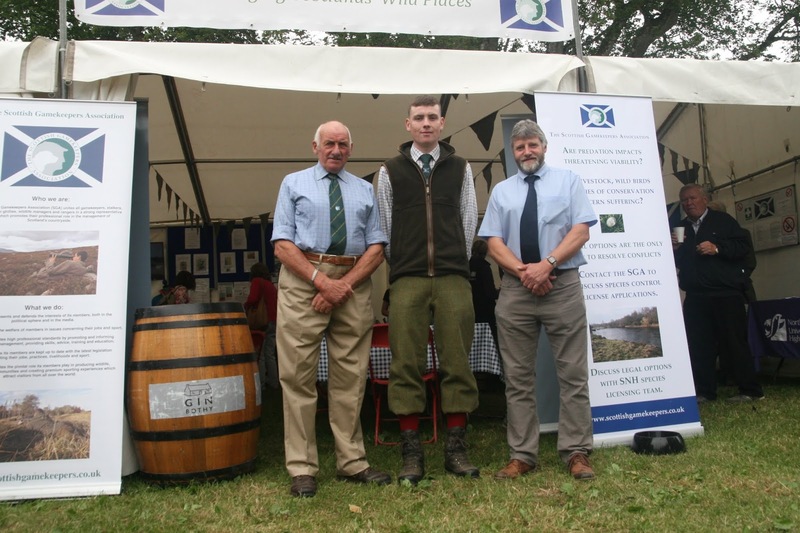 Indeed, gamekeepers are the core of our business, not just as they need the best clothing and equipment but because they are such good product testers,” said Managing Director, Andrew Small. BushWear has been at the forefront of changes in technology in the outdoor sector and several new products will be available for demonstration. “Something that has seen huge changes in the last 5 years and has revolutionised vermin control for keepers is Night Vision and Thermal equipment. We are delighted to be attending the AGM in partnership with our good friends from Thomas Jacks, the importers of market leading Pulsar Night Vision and Thermal equipment. “We will be showcasing a selection of new Pulsar products, which will give attendees the opportunity to handle them and test their impressive performance. Star of the show will undoubtedly be the state-of-the-art Pulsar Thermion Riflescope. This revolutionary new piece of thermal technology is housed within a compact magnesium alloy bodyshell that is strong and lightweight. 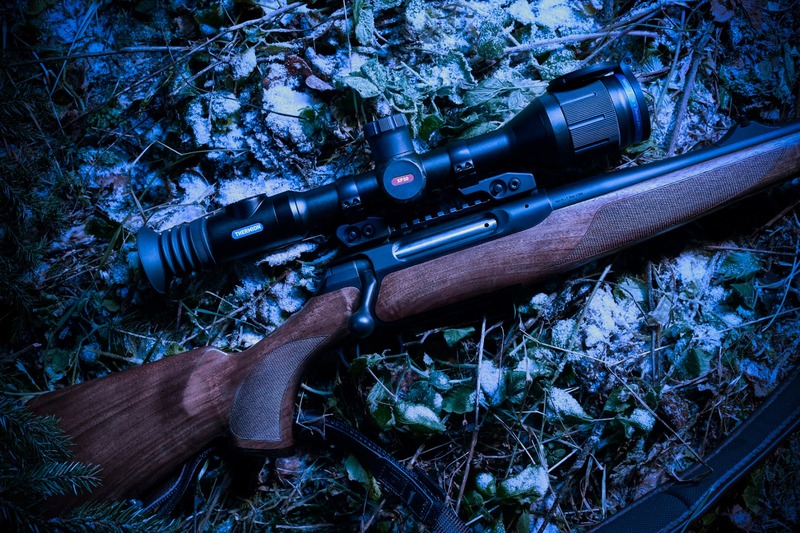 With five models in the series, the Thermion Riflescope features a 320x240 12µm thermal sensor on the XM30, XM38 and XM50 units, whilst the XP38 and XP50 units feature a 640x48 17µm thermal sensor, all of which have exceptional image quality and digital zoom. “Dependent upon the model, the Thermion Riflescopes can reach a detection range of up to 2300m. They are Stream Vision compatible and include built-in video and can record still images.